I grew up as sports cars were just being introduced to the U.S. There was a BMC (British Motor Cars) dealer in each town of any size selling the MG, Sprite, Austin-Healy, Jaguar, Rolls Royce, Bentley, Rover,or Moris Minor etc. You could order a Morgan. With a last name of Clarke you can see that I have a leaning to British iron. I'm writing this after watching a July 2008 TV show in Taiwan on Luxury items. In the show they were confused about what the following types of items mean. For example they classified a bicycle that can be folded up into a small package as a luxury item when in fact it's a utility item. Maybe they were confused about what constitutes an elegant design. Elegant has to do with the sparseness and/or visual aspects of a design and is different from Luxury. Vehicles (and other things) can be categorized into Types based on their features. A Vehicle typically can be categorized in two or more of the above categories. It's uncommon for a vehicle to be designed for just one of them. But a pure type vehicle often is elegant whereas a vehicle that has elements of all four types may be a mis-mash design. Note that there is some purpose for the vehicle that governs (restrains) the design. For example utility trucks are designed for many different payloads and driving environments. Typically you need to sacrifice all the other types to optimize the one you really want. For example a pure luxury car will not be economical, will not be very utilitarian and it's performance will not be as good a a sports car. Reliability is a quality measure that can be imposed on all the above vehicle types. The first Rolls Royce cars were designed with Reliability as the goal. Because they were reliable when entered into a race they could finish where other cars broke down and did not finish. Since Rolls Royce only built the chassis and a coach builder did the carriage they typically were luxurious. While watching the YouTube: "Visiting Scholar Charles Falco on: "The Art and Science of the Motorcycle" I discovered why sports cars were developed in Europe while American cars are more like boats. The U.S. has many roads that go in a straight line for hundreds of miles, but in Europe there are no straight roads. If you drive in Europe you need something that is good at making turns, not so much in the U.S. When in high school I rode a 3-speed bicycle. It used what today is called an Internal Gear Hub. Later I got a 165cc Harley-Davidson Hummer motorcycle (Wiki). Maybe a Super 10? The dealer was near my uncle's house in Salinas, CA. The dealer, Larry Ketzel, was riding a dirt bike in the Nevada desert and was contaminated by an atomic bomb test, according to my uncle. Around 1960 I crashed it dislocating my right shoulder and probably damaging my lower back. Also had a BSA 500cc Gold Star single cylinder dirt motorcycle (Wiki). In Taiwan there are probably more motor scooters than people. I had a '64 Mk II Sprite (Wiki) that I used for my daily commute and had made major racing type modifications so that I could autocross on weekends. (Won some trophies) A measure of the handling was that you could drive through a freeway on/off ramp at double the posted speed without drifting. The parts came from the San Francisco BMC dealer (Joe Huffaker Sr.) who was racing a number of BMC (Wiki) cars as well as building the Genie two seat sports racing car similar to the Lotus two seat sports car. The engine was brought up to Formula Ford specifications, Mag wheels with some offset to increase the track (which required cutting a lot of notches inside the wheel well lip and bending each tab up adding maybe 1/2" clearance between the tire and body sheet metal. Larger tires were fitted to the Mag wheels. A flange in front of the muffler allowed removing it and adding a straight pipe for a little more power and more sound. The anti-Sway bar from a Simca (Wiki) was added to the front to stiffen it up for better cornering. I had a 1962 Mk II Sprite with the 948 cc engine and when my brother blew the engine (or transmission, don't remember the details) I sold my '64 to a friend and bought my brothers and rebuilt it. Later traded the '64 for the 427 Cobra. Also had a Mk 1 "Bug Eye" sprite which my brother painted orange, but it needed a new engine which I never got around to installing. All the Sprites had "Ouija board" (Wiki) steering. By that I mean that you pretty much just thought about where you want the car to go and magically that's where it goes. The steering was very fast and light without any power assist because the car was light. I would rank the 1964 Sprite, after the modifications, as the most fun car I've driven. In the process of writing the computer program for analyzing the performance of the 427 Cobra I learned how tires work. It's really simple, but not easy to find. There is a "contact patch" on the ground where the tire flattens. For example if you put carbon paper under the tire and lowered it onto the ground then lifted the tire up, you could measure the contact patch area. If the tire pressure is multiplied by the patch area you get the weight on that tire. Note that when air filled tires came out they were called balloon tires, not because of size, but rather because the sidewall has no weight carrying function. It works in the same way a balloon would where the pressure in the tire holds the weight, not anything about it's construction. The Wiki bicycle tire web page does not get this. They also don't understand that inflation pressure times contact patch equals the weight on that tire. So a skinny tire will need higher inflation pressure for a given weight. This is why European derailer bikes with skinny tires require more inflation pressure than older American 3-speed bikes with fat tires. Vehicles that are going to drive in mud, snow, sand &Etc. must have low ground loading (= Tire pressure) so use "fat" tires or tracks. You can see that the tire must be sized such that at the inflation pressure there is enough contact patch to support the weight. That's why tires that need to carry heavy loads are big. In the case of trailer tires that need to be small, they have high inflation pressures to make up for their small size. In the case of AA fuel dragsters and funny cars the tires start out "under inflated" so the rolling radius is shorter than it would be if the tire was inflated more. As the car (and the tire) picks up speed the tire expands increasing its rolling radius and therefore acting as a variable transmission. On these very fast cars the effect is quite pronounced. There are two fundamentally different tread designs. Tires for motorcycles and bicycles that lean in turns must have a tread that wraps around so that in a turn there's tread on the ground. Early cars, for example those that used a parallel wishbone suspension, also leaned in turns and so had tires similar to a motorcycle. But more modern cars (427 Cobra) have suspensions where the outside tire stays pretty square to the road and so can make use of wide flat top treads. The rolling resistance (Wiki) of a tire is a measure of how easy it is to push it. It turns out that the larger in diameter a tire is the lower it's rolling resistance. You can get a feel for that by seeing that when a small caster hits a piece of gravel it will stop, but when a large diameter bicycle tire hits the same piece of gravel it easily goes over it. This is because of the mechanical advantage the the longer lever arm has. Where, by lever arm, I mean the triangle formed by the center of the contact patch, the length along the ground to between that center and the gravel and the height of the gravel. Coefficient of Friction of a tire (Wiki) relates to how well a tire grips the road. Up into the late 1960s it was thought that the limit was 1.0, that's to say that a tire could only have a braking, cornering or acceleration that was limited to the weight on the tire. Note that crawler tractors can have a drawbar pull (Wiki) that is far in excess of the tractor weight because there are cleats on the tracks that dig into the ground. The exceptions are things like AA Fuel dragsters (Wiki) which use very soft rubber tires that "cog" into the pavement and then shear off the rubber. The thing that allows the short 1/4 times is the Coefficient of Friction (>>1) that in turn allows acceleration higher than 1 G. A street car that was an exception was the 2008 Corvette where each tire was different. It could corner slightly above 1 G.
But for most cars the limit is the weight on the wheel (1 G). Tractor Pulling contests (Wiki) measure the drawbar pulling capacity of various vehicles with tires (not tracks). Trivia question: What part of a bicycle/car has not changed since the late 1800s? answer: the Schrader Valve (Wiki). The first patent by G. H. F. Schrader (473673 Apr 26, 1892) was for a valve that depended on the pressure differential between the inflation side and the tire side, but this did not work well (see below) . 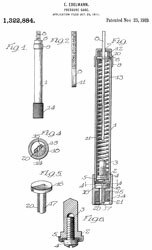 The next patent added a spring to keep the valve closed and depends on the inflation hose to have a prong to open the valve. 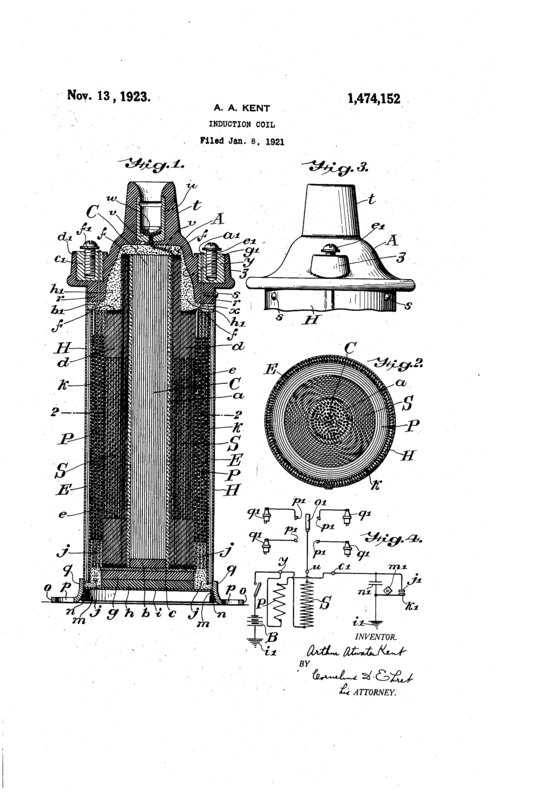 483172 Valve for Pneumatic Tires, George H. F. Schrader, son of August Schrader (Wiki), Sep 27, 1892, 137/233; 137/550; 152/429 - uses spring. This also allows a tire to be deflated by using the special cap in an inverted position. 2049532 Pressure Gauge, Selden T Williams, A Schrader's Son Inc, Aug 4, 1936 73/709, 73/744 - there were many prior tire pressure gauges by Schrader, maybe the most popular. Has shirt pocket clip and deflating tip, angled head for easy use. Pat. Nov. 25, 1919 (1322884) Apr. 10, 1923 (1451307) Other Pat. Pend. Assumption - spring force = 1 lb force. Keep in mind that's plus whatever pressure is on the other side of the valve - which is further complicated because the area the seal contacts contributes to the closing force area, but does not contribute to the opening force area. I went to a talk by Pete Brock at the Candy Store (Carol Shelby signed a photo of CSX3282 at a different Candy Store talk) because he was involved in the design of Cobra cars and in particular the Cobra Daytona Coupe. A web search will find Pete in relation to Datsun, Pebble Beach and a company in Southern California designing cars. He talked some about his background and some Cobra stuff but then the really good thing was about the new engine that he was building. As he talked he pulled parts of the engine from a back pack and showed them to us. Automobiles and most motorcycles got off to a bad start because government agencies taxed them based on the displacement of the engine. I think this is still the case in Italy. 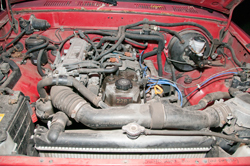 In many automotive racing classes the displacement of the engine is a major factor. I know that the early Rolls Royce cars had names like Silver Ghost, Phantom and also numeric model numbers like 20/25 or 40/50. This referred to the official Horse Power/Actual Horse Power. The idea was you only paid taxes on 20 HP but you got 25 HP. So car manufacturers and others have been locked into the idea of getting the most horse power per cubic inch. This is a mistake. When you look at airplanes with piston engines the most important factors are reliability and HP per pound of weight. In the case of ships the important factor is HP per pound of fuel burned (Wiki: BSFC). In both of these cases the engines are lightly stressed. A technical way of saying this is that they have low Brake Mean Effective Pressure (Wiki: BMEP). An engine with low BMEP does not turn at high RPM and does not produce a lot of HP per cubic inch of displacement. Harley Davidson and BMW motorcycles have this type of engine today. The very high performance motor cycles from Japan are an example of a high BMEP engine, very high red line for RPM, very high HP/Cubic inch. Pete showed us the valve from a Ford 5.0 L V8 engine. It looked like most automotive valves. The thing is that at 5,000 RPM it takes 30+ (as far as I remember) HP to run the valve train. That is because there needs to be valve springs strong enough to close the valve and the engine needs to compress these along with moving the mass of the rest of the valve train. He showed us the valve from his engine, it looked like a #2 pencil lead with a quarter on the end. Very much lighter that the Ford valve. The spring looked a lot like what is used in a ball point pen!. You could easily see that Pete's engine will not need a lot of power to run the valve train. His engine is a V2 design with a capability of stacking to get a V4, V6, V8, etc. There is a single size hex head bolt used for all fasteners. A special Allen wrench with a long handle that acts as a torque limiter is the single tool needed to take apart and assemble the engine. If more strength is needed then he used more of the same size bolts instead of a larger size. Anyone who can work on a bicycle can work on this engine. If the Ford V8 engine is removed from it's car and a V8 version of Pete's engine installed, the performance will be comparable because of the lighter weight of Pete's engine. Pursuing this project cost Pete a lot and it was dormant for a number of years. I talked to him a few days ago (Oct. 98) and it looks like the project may come alive again. There are better ways to design cars and trucks if you can get rid of the old ideas. Pete has some great ideas about utility vehicles for underdeveloped countries. These would be easy to make and very practical to operate and fix. One idea is to have all the wheels be non-steering and use differential engine control for steering, like on the Bob-Cat front loaders. 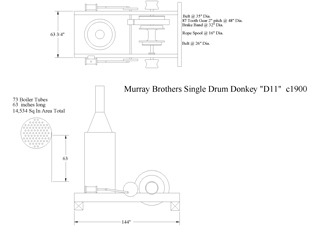 9103277 (Google, USPTO w/images) Moment-cancelling 4-stroke engine (MC4S), Daniel Sexton Gurney, Aug 11, 2015 - "Importantly, it should be noted that the peak BMEP for the MC4S system is more than 100% greater than most normally aspirated engines. This unexpected result points to a very powerful engine resulting from the improved air supply." Interesting that this engine has a high peak BMEP yet also has good fuel efficiency. But that's been my experience, i.e. if you drive with a light foot you get good gas mileage, but with a heavy foot you burn a lot of gas in exchange for high performance. This engine has a sharp peak at 8,000 RPM and so will need a lot of gear selections or some type of variable transmission in order to stay at the peak. Dan Gurney's"Moment Cancelling" 4-Stroke Engine (MC4S) - aimed at motorcycles where the moment refers to gyroscopic action. I've just been reading your MC4S patent and it reminded me of a lecture given by Pete Brock at the Candy Store in Burlingame, California (a former car dealership, now a home for collector cars). It was about his V-twin Low BMEP engine. I think he said he had a patented connecting rod. Do you know what happened to that engine or where I might find more information about it? This is my current everyday car. It has very good handling (I drive in hills every day and going to San Francisco at freeway speeds in hilly country is easy). This is pretty much a 4-door version of the Pontiac Trans Am (Wiki). 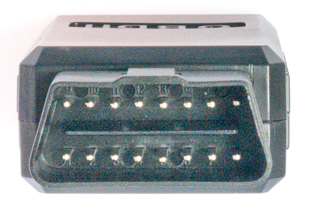 My Intrigue and all cars sold in the U.S. beginning with the 1996 year models have an On Board Diagnostic system called OBD II.. On my car the connector falls to your right hand if you are the driver and feel at the lower edge of the instrument panel below the steering wheel. 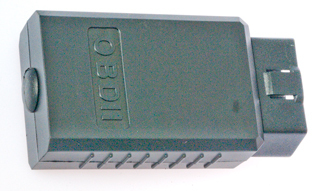 The OBD II web page by B&B Electronics has information on what data can be read by their AT1 GM data link. The AT2 data link for Ford is available, and the AT3 for Chrysler cars is coming. Things like MPH, RPM, and a lot of emissions control information is available. This is used by the technicians at the dealership to diagnose what caused the "check engine" light to come on. Some road tests: Edmunds, Wheels, , Press Release, Auto Extra. 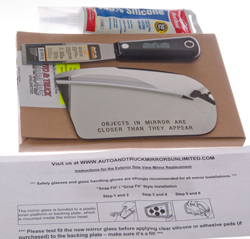 I checked the NHTSA defects - recall page to see if there were any, none found. PS there are many OBD II readers on eBay now (2018) with BlueTooth, WiFi or USB interfaces. This van has the ability to hold a few sheets of 4' x 8' plywood flat on the floor with the rear door closed. This is possible because the second row seats can be completely removed in a matter of seconds and the third row seats fold down flush into the floor (the front seats have a notch on the back). It also has the optional Satellite Navigation system. 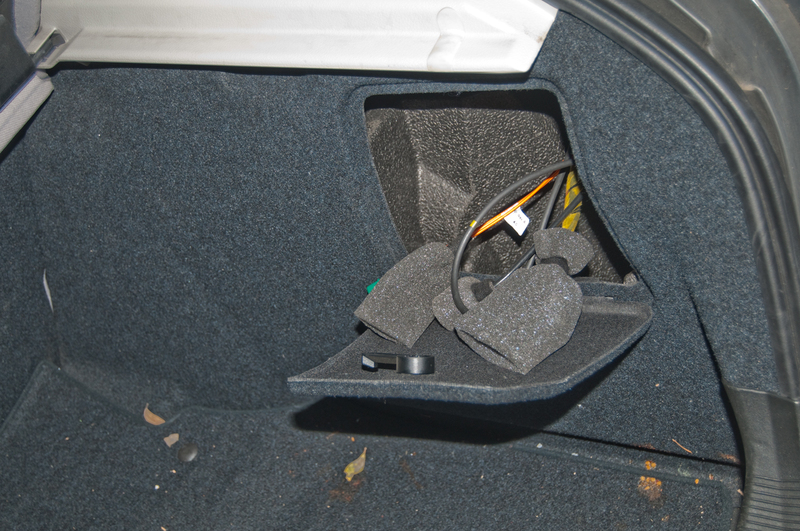 The main electronics package is about the size of a VCR and is located under the passenger seat. It contains a CON US data base on a DVD disk. The GPS receiver is aided by a gyroscope (might be a misnomer, magnetic compass might be more correct?) and speedometer input. When stopped the direction of travel stays correct. The dash panel color touch screen LCD display needed the space used by the manual AC controls. There is a button beside the display that brings up a virtual AC control panel. This system has been customized by Honda for this application. In addition of a map display there is a mode that will guide you to your destination, similar to the "never lost" system that's optional in Hertz rental cars. Pacific Audio & Alarm - Multimedia Control Timer - to allow watching DVD videos on Alpine CVA-1005. Will this work on the Honda version? probably not because the Alpine hardware may be different. I have gotten the latest DVD direct from Honda's web page (Order Nav System DVDs in drop down box) but have not really checked it out yet. One thing I have noticed is that the recommended path from my house to the SF Bay Area has changed. I used to take 101 South, cross the Richmond Bridge, 880 South and 237 West. Now it says to take the Richmond Bridge then the Bay Bridge back to 101, the two bridges are to avoid going through San Francisco where there is no through freeway. 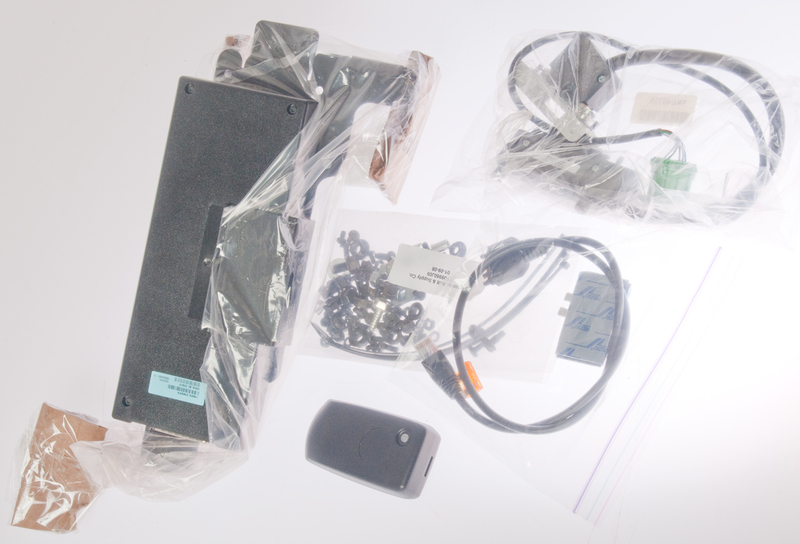 There is also a built in wireless remote that can be programmed for conventional and rolling code garage door openers, and other features. It uses the Homelink protocol. It's been to the dealer for routine maintenance a few times and the bill is always $49.95 and they only did the routine stuff. Bought this new from the Santa Rosa MB dealer. It was a demo car and we got it for a fantastic discount. June 2012 - Just starting to drive it. March 2019 still my daily driver. Get two each CR2025 3 Volt coin cell batteries. Using CR2032 batteries will NOT work, they are too thick. Remove the mechanical key by sliding the gray button. Slide out the top (positive side showing, see photo) battery. Slide out the bottom battery through the top side. Install the two CR2025 batteries (+) side up (see photo). address or phone number on the keys. worked to start the car. Dec 2012 Looking into adding a cell phone. How-to Guide For Cell Phone Upgrades, Plug-in And Bluetooth - the car should be pre-wired, i.e. the steering wheel has the buttons and the display has a phone page in the menu. Note: The factory cell phone setup back in 2003 was to have a Motorola V60 analog cell phone (Wiki) hardwired to the car for control and for an external antenna. But today (2013) Motorola no longer makes cell phones with a provision for an external antenna and the remote control needed for answering and making calls is handled on a wireless Bluetooth link. So the upgrade path is to install the Phone Support Electronics (PSE) module into the D2B (fiber optic) loop and use a short RJ-45 cable to the Motorola Bluetooth dongle in the top (shallow) center console compartment. No RF coax parts are involved in the upgrade. the false bottom of the top compartment can be lifted and flipped over. You can see the coax antenna cable and RJ-45 socket. On the right side of the center console near gear shift. 2) is a single strand and connector. of the pair of fiber optic cables. There are 3 D2B cables coming from the pocket at the right. 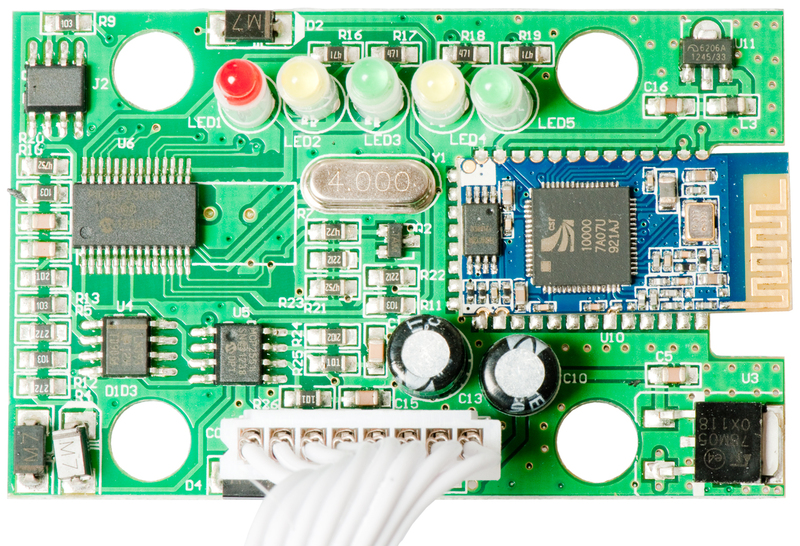 to the Voice Control Module (VCM). one goes to the pocket at the right and the other goes forward. Need to use a flashlight to figure which is which. Note: only DB-25 and dual D2B (fiber optic) connections. No coax RF needed for Bluetooth. 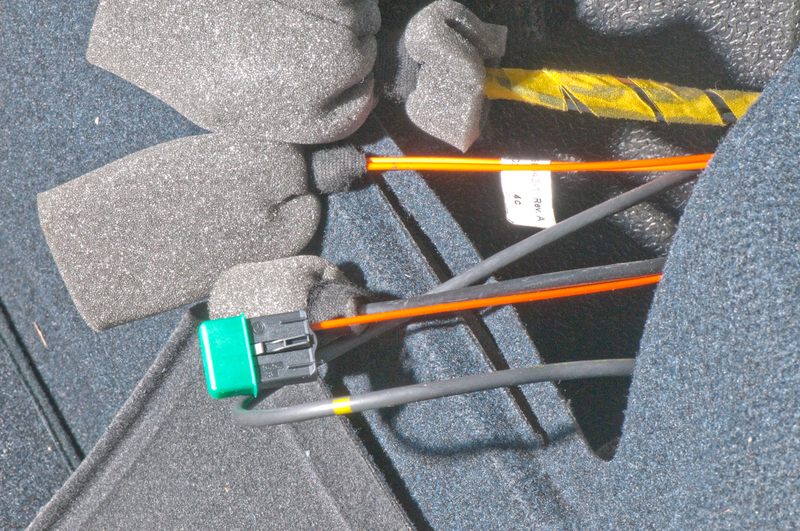 The Y-cable (with the unused green connector) is not in this photo, but is installed just above the PSE box. Note: The blue LED is on solid but the Motorola Electrify 2 cell phone is in standby mode. The only time you need to touch the cell phone is to unlock it for an incoming call. the right soft key is for END. 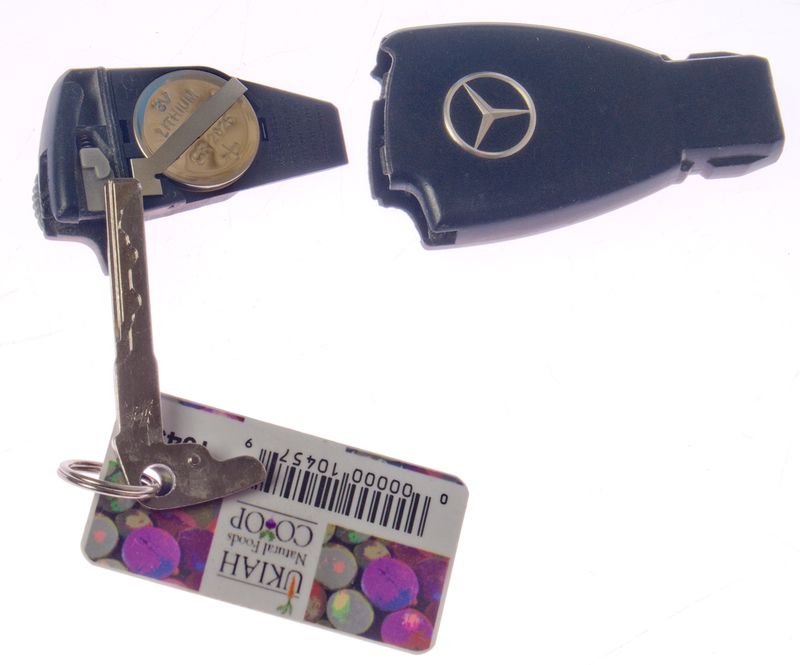 Note the MB cell system downloads the directory from the cell phone after the key is turned on. 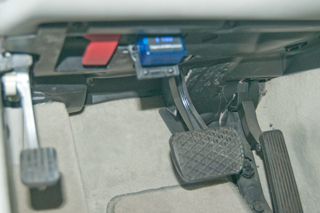 Cruise Control stalk with RESET button in background. Note the style of the stalk (late 2003) for matching the Voice Control stalk. 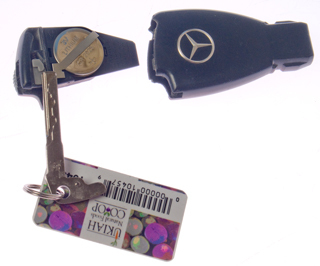 If others are riding in the car they can enable their Bluetooth and sync to the car by entering the PIN number for the Motorola Dongle. But probably only one cell phone at a time since their directory will be loaded into the car's directory. The order of the fiber optic loop is important. This will be used for Bluetooth control of my Motorola Electrify 2 cell phone. If a component is missing then it's removed from the list but the order of connected components must be maintained. Component No. 1 (Bose Sound System) <not installed> - got poor reviews. 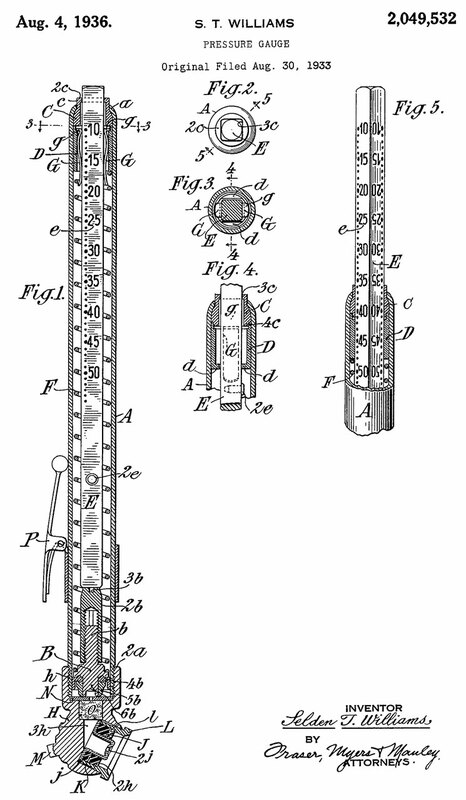 Component No. 3 (Phone) <PSE module to be installed in trunk> - this is what I'm adding. Although this voice control stalk has the correct appearance for a late 2003 C230 coupe, it does not have the correct end to mate with the socket on the right of the steering column. The black plug that was removed from the column socket is about 0.221" (5.61mm) O.D. and that's close to the O.D. of the stalk the tip on this stalk does not have the notch that the correct stalk has. So this stalk needs to be modified. The OD of a 1/4" brass rod was ground down to 0.240"
for the voice PTT switch stalk. to clear the pin at the bottom of the socket. turned about 22.5 deg CCW. in place by the spring pushing it back against the pin. cut off (Mini Cutoff Saw). The OD of the exposed brass was ground down to about 0.24" dia. about 22 deg apart. The drill bit was used as a mill to connect the holes. The 1/4" brass rod has been working no problem. 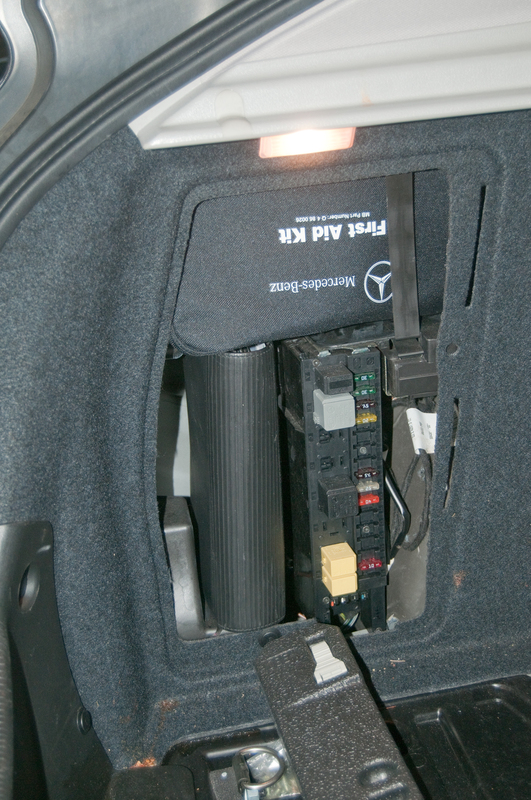 The Voice Control box mounted in the trunk under the trunk forward cover plate. Note the label is facing down and the box is held by clips. Radio -> Voice Control -> Phone -> CD Changer -> Radio. 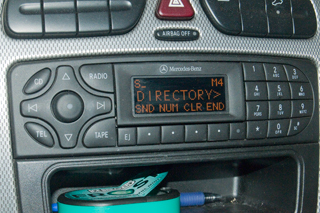 Note: If the radio or CD are playing and the loop in opened the sound will stop. It restarts a couple of seconds after the loop is reestablished. Note: The voice control PTT stalk is a momentary switch, i.e. you pull it back and release. Then the radio beeps and it's ready to accept a command. If the sound (radio, CD, Tape, etc.) then the voice is not listening, so you need to pull back again for a new command. I.e. when a command finishes the voice control is turned off. Pressing the PTT stalk forward cancels the current command. 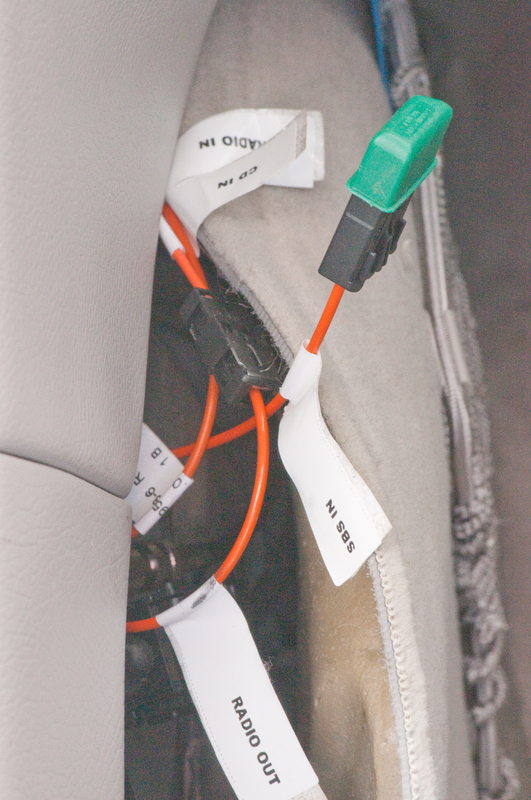 On Board Diagnostic II (Wiki) is the connector that's within reach of the driver. 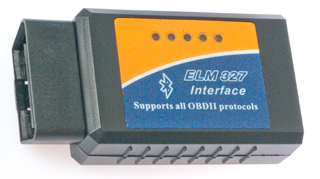 In the past (prior to maybe 2012) the cost of an OBD reader has been in the hundreds of dollars, but now there are units available with Bluetooth connectivity to work with smart cell phones for very reasonable prices (under $20) like the ELM327 that reads not only US cars but also most foreign cars as well. It's called a generic OBDII Bluetooth adapter. Unfortunately when plugged in the LEDs are facing the pedals so it will take a small mirror to see them. select CHX (which is how the ELM327 shows up on my phone) and enter the pairing pass code 6789 (not 0000 or 1234). Now CHX shows up with a gear wheel, i.e. it's Bluetooth paired. OBD Device not found, retrying. . . . Connecting to OBD via bluetooth . . . 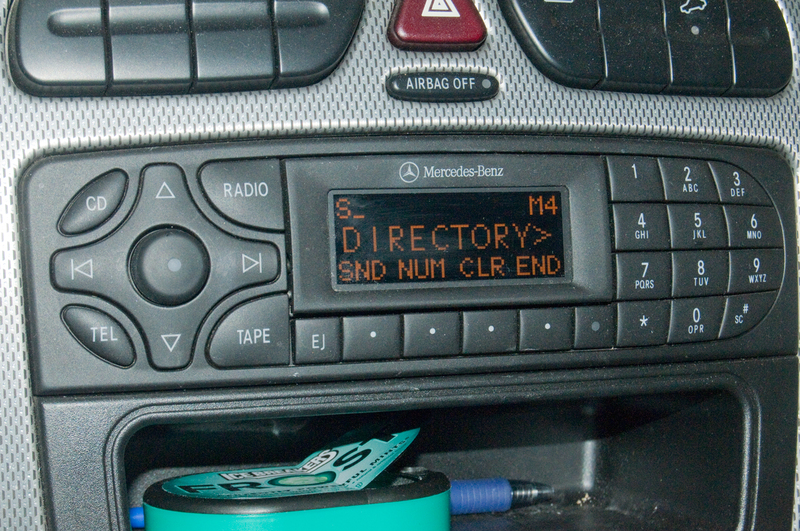 I've gone into the (three vertical dots settings in the bottom right) and selected connect to CHX (not the car's Bluetooth) and selected Disable ELM327 auto timing adjustment, the port number of 35000 is the default. When plugged into an Oldsmobile Intrigue the LEDs are facing up and visible. They light in sequence front to back to front and stop with the front red LED on solid. 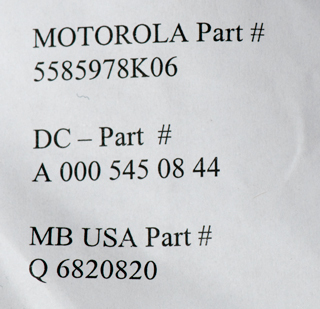 But although the Motorola Electrify 2 cell phone is paired to the CHX Bluetooth device, the Torque program fails to make a connection. 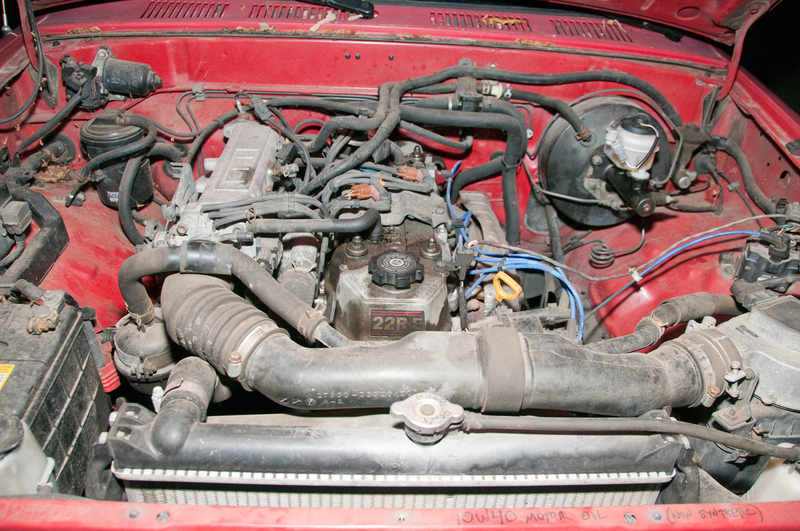 The same problem as with the 2003 Mercedes-Benz C230. Maybe this particular device is defective? "V1.5 Super Mini ELM327 Bluetooth OBD2 OBD-II CAN-BUS Diagnostic Scanner Tool"
The OBDII Super Mini device is shorter than the open door. I selected OBDII and not the car's Bluetooth. These are the default dials. Torque - The problem is that there's no manual or way to get support other than via a blog on their web page. The type size is so small I can't read it. 1) where's the user's manual? 2) how to delete a dial? 3) how to move a dial that's positioned so half of it is off the display to the center. 4) the free "Lite" version automatically came up with a Boost gauge, but that's not an option on the full up version. How to get it? 5) how to use the 1/4 mile icons? 6) how to use the Map Display icon? 7) How to start the Track Recorder Plug-in? When help is pressed it opens a browser window to their web page. The same author has other Torque related demo videos. But not how to for beginners. When the car gets to about 10 MPH the doors automatically lock. But now the drivers door chatters. The remote will lock the door. There was a post with the very same problem. Too much hassle, I just let it chatter. You will need: Set of Spline screwdrivers, Flat screwdriver, Pop rivet gun, 3 small cable ties, Drill and 5 pop rivets. 1. Pull off the tweeter cover on top of door panel near front of window, no need to disconnect wire, just let it hang down. 2. Pull off SRS badge and remove the spline screw behind it. 4. At the bottom of the door pull handle next to the armrest there is an oblong slot, insert a flat screwdriver and prise the top half off, it is just clipped in. there are 2 spline screws behind it, remove them. 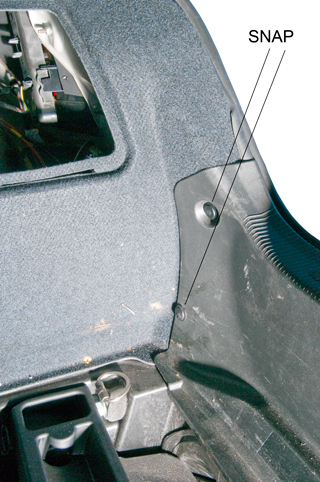 7. panel is now off, pull the plug from the window switch and disconnect the cable from the door handle by opening the handle slightly and pulling up on the hook, the cable can then be removed from the door panel insert. 8. Drill out the 3 pop rivets holding the air bag and the 2 pop rivets holding the lower window strut. 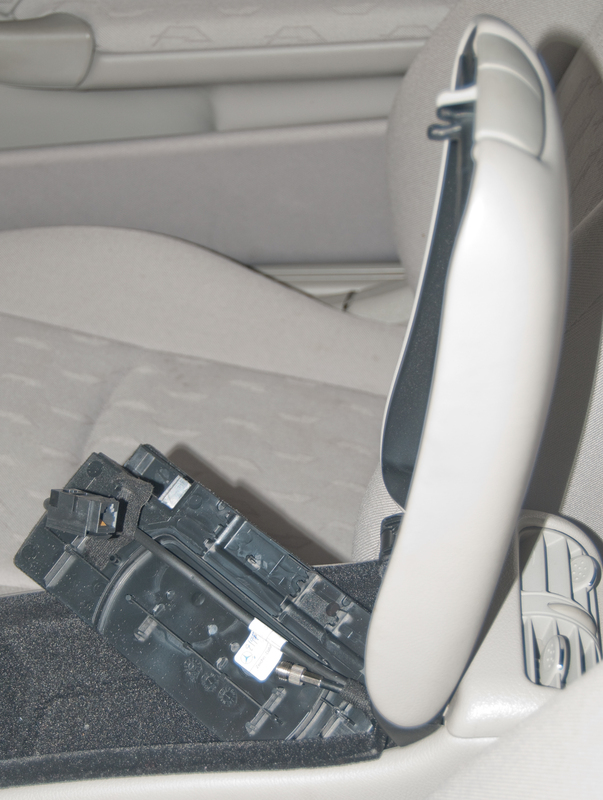 do not disconnect the airbag, let it hang down or tie it out of the way. 10. You can now remove the locking mechanism by pulling it down and then towards the front by pushing back on the window strut. Now do everything in reverse. This assembly is designed to fold back, like when hitting the garage wall when driving into the garage, BUT it was not designed to fold forward, like when backing out of the garage. 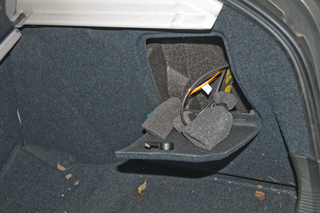 The newer model cars have electrically operated mirror assemblies that fold in to make the car narrower. I wonder if they can be retrofitted to my car? Let me know. The Mirror Wire holds the mirror backing plate. mirror and it's backing plate to be removed. 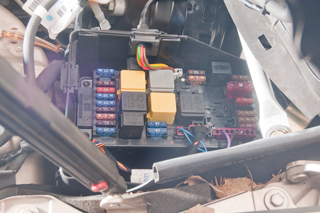 There are two quick-fit wires that need to be unplugged. signal lamp assembly is just on it's cable. The "Clip" is what holds the lamp assembly to the frame. New mirror installed - not yet done. When backing out of garage the wall moved in front of the mirror, breaking the glass (but no pieces fell out) and causing a malfunction notice saying the lamp was out. When the turn signal was on to the right, inside the car it blinked fast, but outside the front and real lights blinked at the normal rate. Pressing the reset button (like used to reset the trip odometer) turned off the malfunction notice. 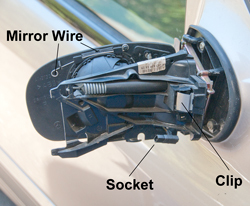 After removing the mirror cover-turn signal lamp assembly from the car and testing the lamp by sticking a couple of bare wires into the socket and checking the resistance (2.8 Ohms) it was determined that the lamp is OK. The problem was that it had been unplugged. It was not obvious where the socket should be attached to the mirror frame, so I just plugged it in by hand and reinstalled the mirror cover-turn signal lamp assembly until it snapped into place. I have a replacement mirror glass on order. 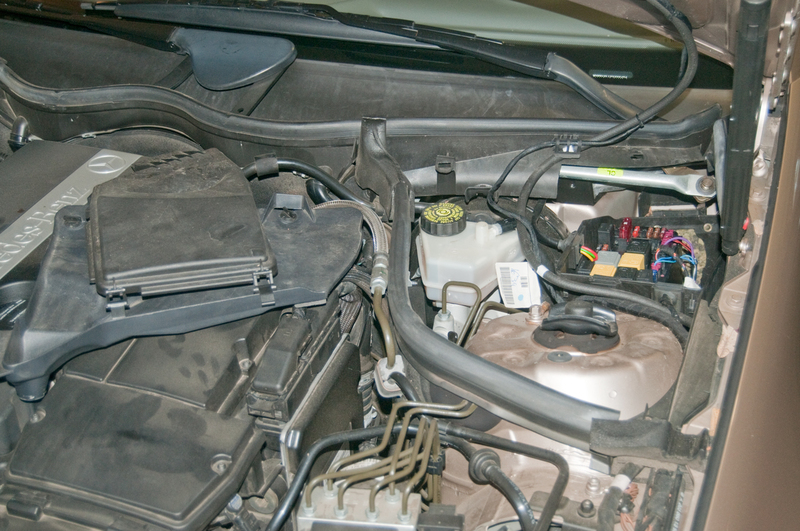 After replacing the battery and alternator a new problem has shown up in that the windows no longer automatically go up. At this time not sure if this is a problem that's easy to fix using a factory computer interface to reset the auto up or if it's related to damage of some component. Raise the window by holding the button up on the "first setting", i.e. don't lift it all the way up. Once it's closed, then lift it all the way up and hold it there for 10 seconds. Then try again, auto down and then auto up. Problem of rough running near idle and mid-range. This is the Bosch Motronic Mass Air Flow Sensor. This system was used in a number of German cars like the Porsche, BMW &Etc. A spring loaded vane is pulled open by the air stream and that turns a special pot on a ceramic board. Instead of a normal pot this one has a laser trimmed resistor network feeding in correction voltages. So "12 Volts" needs to be applied and the voltage on the wiper measured. The problem is that the resistive material on the board wears away and then the dual wiper contacts make intermittent contact resulting in rough running at some mass flow rates. By slowly turning the pot arm and measuring the voltage on a DMM, you will notice "OL" flashing when the dual wiper contacts are not making connection. Note the OL indication was caused by ranging, not OverLoad, so locking the range when 12 Volts is applied stops the OL indication. It may be that there are two Porsche part numbers for this: Let me know. 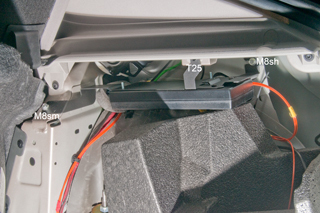 BMW also used the Bosch Motronic MAF sensor, but it may or may not have the same calibration? Fig 1 Overall view with cover removed. You can see wear on the tracks just to the left of the central arm. 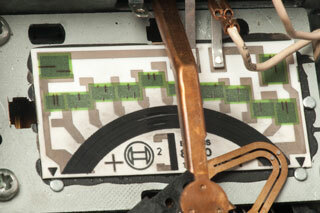 The black hash marks on the fixed resistors are from the laser trimming. This is the only one to have, accept no substitutes, and do without until you can get one. I have seen up to 4 CHP radar traps all lined up in a row (the counter tells you how many bogies. The Forward, Back or Side indication is really cool. I have seen traps off to the side because I know when to look, otherwise they would never be seen. For approaching cars with moving radar you get a lot of warning as well as knowing that they are in front of you (of course it also could be a car parked on the shoulder behind tall grass). On a few occasions I have picked up the local oscillator of a cheap detector in a nearby car and can tell which car it is in. The optical sensor for laser speed guns goes off when passing some electronic signs. The warning display and sounds are different for the different types of radars so you know which is which. Even though I can't tell you the sound or display for each type, I do know the sound of a highway patrol radar and it's different from the other sounds. 7061423 Interleaved sweep for detection of pop transmissions in police radar detectors, (Valentine), - for burst type radar detectors. 6175324 Police Radar Detector, Jan 16, 2001, (Valentine), A novel frequency scheme for a police radar detector enables improved sweeping of the X, K, K.sub.u and K.sub.a radar bands. This contains the coordinate transformations to get from a3-axis accelerometer to acceleration in the plane of the road. It depends on the roll and pitch spring constants being known and constant or using an independent roll & pitch input. 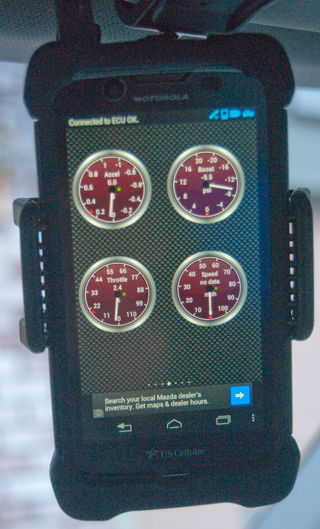 This is required if you want to monitor the handling of a high performance car. You can not really use the accelerometers in the plane of the car since the car leans relative to the road. One day while driving down the 101 freeway going South to Santa Barbara I passed a very long column of HMMWVs being delivered to the army at Hunter Liggett (Wiki). There were all kinds of models, most fitted with military radios. I started to study them at that time. It turns out that A.M General would not sell me a Hummer at that time because they were not street legal and they had their hands full building them for the Army and other U.S. and foreign services. Later they developed the "Heavy Hummer" that had a Gross Vehicle Weight (GVW) in excess of 10,000 pounds. This required not only adding heavier springs for the vertical load but also a lot of changes to the drive line to handle the higher torque that propelling the heavier vehicle required. With this higher GVW the rules change for street licensing and made the Hummer street legal. A friend purchased one of the first 100 and had it custom painted a civilian camo (the factory could not use the same robot pattern they used for the Army for legal reasons). My friend ended selling his back to A.M. General because of all the problems it had. One of the problems was that there was nowhere he could go that had trained mechanics. If the mechanic is not trained on the Hummer in the process of fixing one problem, he can create one or more new problems. The Military Vehicle Forum is a web site where owners and others post Hummer related information. There is a Radio Controlled (RC) Hummer model made by Tamia. Off-Road.com - hummer pages - "The Most Serious 4x4 On Earth"
Reading the Hummer Forum, my friends experience and my experience lead me to believe that when you have an car that is made in relativity small numbers, you are going to have trouble getting service. In my friends case the mechanic would make new problems as he tried to fix existing problems. This same thing happened to me with an '86 Turbo Inter-cooled 745 Volvo wagon. The block had a bad freeze (casting) plug, so the dealer, under warranty, replaced the raw block because the model was so new there were no short blocks available. In the process he cross threaded the plastic radiator, causing me grief on a trip to Santa Barbara. Some cars like the Corvette ZR-1 have a V-10 engine so complex that the local dealer is not allowed to work on it, instead it is sent to the factory for repairs. Rubber parts cause a lot of problems. Rubber and the synthetic version of it all biodegrade in air and water. Any rubber hose or gasket is a problem waiting to happen. If rubber is used as part of the insulation on wires they will get hard, crack and short out...it's just a matter of time. The '29 & '34 Rolls Royce cars have no rubber parts except for the tires. There is a metal tube between the frame and engine that carries the fuel. It has a few turns about 3 inches in diameter to allow for flexing. This was a huge problem on the '69 Bentley. After 11 years the battery in the Honda Odessey van needed to be replaced. Disconnecting the battery enablesthe anti-theft features in the radio and GPS Navi system (makes them inoperative). 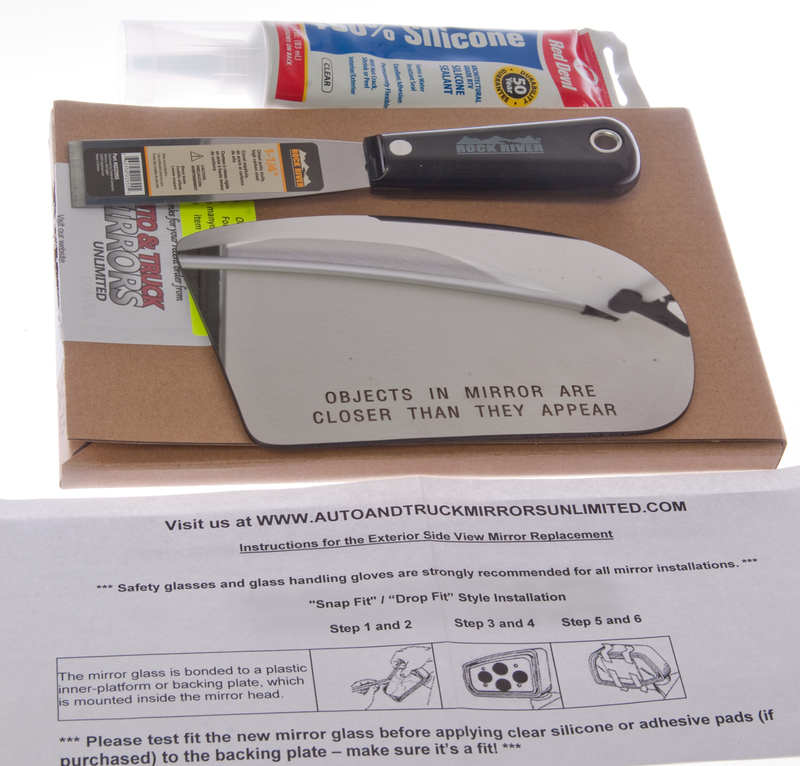 If you can't find the paper work or the sticker on the van then you must get access to the serial number sticker on the radio and/or GPS. I have owned a number of other cars including a '29 Phantom II (WJ14) and '34 RR 20/25 (GWE72). Note that Rolls Royce was founded because other contemporary cars were well known for "failing to proceed". RR won many races, not because they were fast, but rather because the made it to the finish line. Reliability was the number one concern. These are both works of art. The firewall is an aluminum casting. There are no rubber parts other than the tires. The fuel line between the frame and the engine is metal with about 5 turns to allow for the rocking movement of the engine. Note that rubber (and it's modern replacements) bio-degrade when exposed to air or water. India was a British crown colony and the source of Gutta-percha (Wiki) so rubber was commonly used in English products, even if that made them less reliable. I believe this is the cause of many "failures" in cars. The '29 Phantom II was made close enough to the beginning of automobiles that it still had the "start from the switch" function although it also had an electric starter. Early cars did not have electric starters, they had a crank that needed to be turned to get the engine going. RR (and probably others) had a feature related to the manual spark timing lever at the center of the steering wheel. When you were about to turn off the engine, you first put the advance lever all the way up, then turned off the ignition switch (the key was separate from the switch). In this way the engine would turn over maybe a turn or two with no spark and in the process inhale some fresh air and gas. When you wanted to start the car, after shopping or whatever, you would turn on the ignition switch and then move the advance level smartly down. This would cause the points to open and fire whichever cylinder was just past top dead center, starting the engine without cranking. I got this to work, but not all the time. At the time RR began their business most cars were very unreliable. Henry Royce worked hard to make a car that was reliable. To promote the reliability they entered endurance races, where just finishing meant winning. The early RR cars were made into armored cars (early tanks) and used in the African desert by Sir Lawrence who praised them highly for their reliability. In the movie Indiana Jones and the Temple of Doom the ruler of the dessert where the temple is located refuses gold and jewelry but accepts a Phantom II RR. As of about 1988 there was a Phantom II used by a women on the East coast on a regular basis. Although it will not maintain freeway speeds, it will keep running almost forever. I bought these at Coys of Kensington. Using a coiled metal tube between the frame and engine of the 1929 Rolls Royce is an example of getting higher reliability rather than use a rubber hose that will for sure fail because rubber degrades. 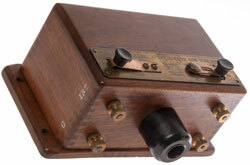 A note on Lucas "prince of DarknessTM" (web page with examples) electrics. The Lucas relays are in metal cans that use bendable tabs to hold the can onto the base. 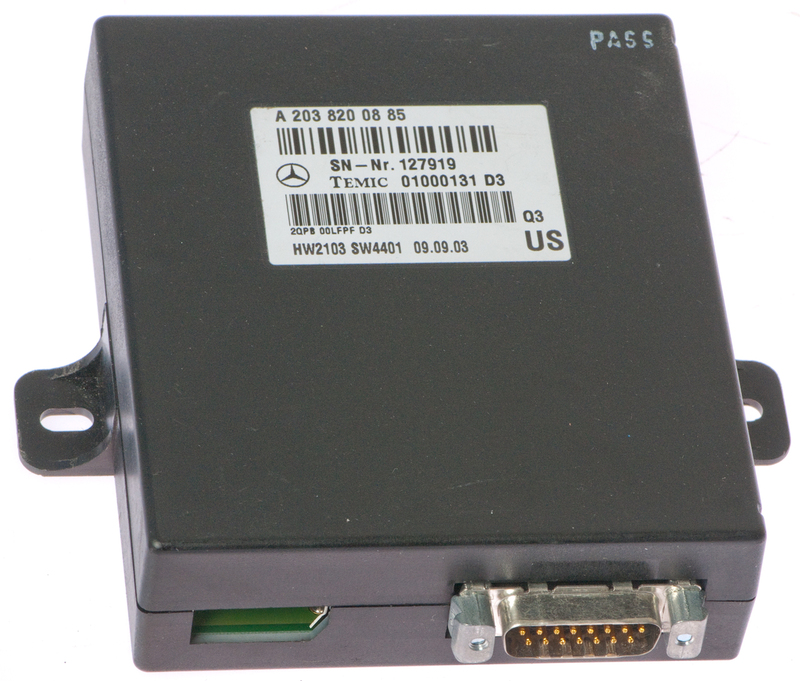 But Mercedes Benz relays are hermetically sealed. The Lucas relays fail often but can be burnished and work again and again, while the MB relays last about as long but don't need the maintenance but at a substantial additional cost. There's a similar trade-off in headlights. The early American headlamps combined the filament and reflector into one unit. There are locating bumps on the headlight that fit into it's socket. But whenever a new headlamp is fitted it must be aligned to point in the proper direction. They used to cost less than a dollar. 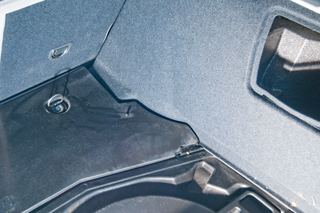 The Honda uses a fixed reflector and a removable pre-focused lamp. You just remove the burned out lamp and install the new one. Done in less than a minute and no alignment, but the lamp costs about $10. So you trade time and money. The flashlight bulbs that screwed in had random filament locations and so many flashlights had a provision to adjust the focus. 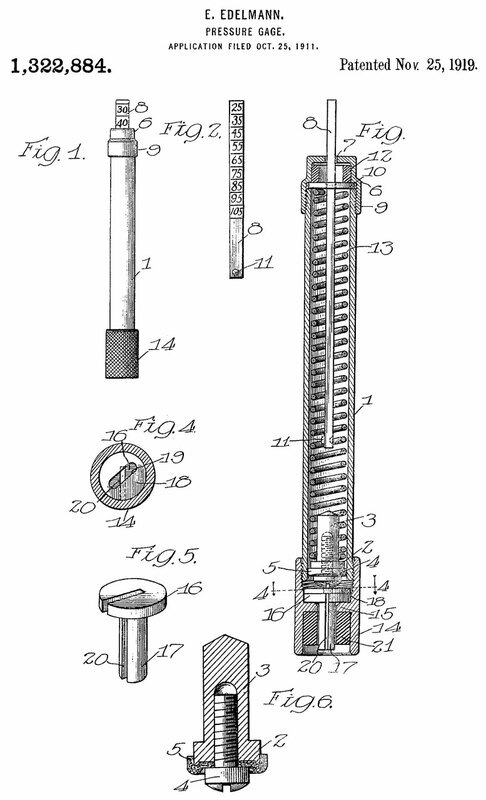 The later flanged flashlight bulbs had the filament in a predefined location. Note that as time goes on the cost per hour for a mechanic that know how to work on modern cars is higher every year so it's cost effective to make trades that minimize mechanics time. Super Seven web page with information about "The Prisoner's" car (Wiki). Catherham US - The CSR chassis is a little bigger (maybe I could fit it) and is much stiffer and has much more modern suspension + 260 or more HP. WorldClass Motorsports is continuing the tradition of making light powerful vehicles(6.3 lbs/hp). Pickup trucks tend to last much longer than cars. Separate web page for Tilting Three Wheelers. This is a project to make a 3-wheel car in the US that will sell for $6,800. The mule car uses a 3-cylinder Geo Metro (Wiki) engine that's from the Suzuki G line and front end assembly, but the actual car will use a special built engine. The Geo metro gets the same or better fuel economy than the Prius. "... ultra-fuel-efficient Geo Metro XFi model, which delivered as much as 58 miles per gallon..."
The reason given for the 3-wheel design (2 in front) is lower aerodynamic drag (front and back seats, not side by side like the Morgan). The mule car has a 100 MPH top speed. YouTube 2018 Dec 24: How this Radical Car Missed its Chance to Change the World - (5:52) Wasted money on developing engine and in the end went with Roush engine. The need to shift consumer habits was another problem. (7:01) since rated as motorcycle, driver & passenger need to wear helmets and driver needs M1 drivers license. A 4-wheel version might have been an easier sell. As of this video they have not yet shipped anything. The Morgan Car Co. in England (yes they are still in business) made a three wheel "motorcycle". There is a legal distinction that is still true today, i.e. if it has three wheels it will be treated as a motorcycle by the government licensing agency (the DMV in California). The idea was to lower the cost of ownership. It had two steering front wheels and a driven rear wheel. This is a stable configuration meaning that you are less likely to crash it. Search YouTube for "Bond Bug" (YouTube, Wiki) to see many crashes of a car with 2 rear powered wheels and a single front wheel. 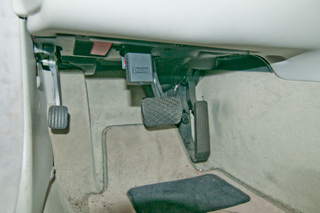 The single steering wheel in front and two driven wheels in back is an unstable configuration. These definitions come from vehicle dynamics. The story is that Mr. Morgan, a preacher's son, wanted to take girls out on dates in the new car so it had to have side by side bench seating. In the nineteen seventies I went to the Morgan factory and asked about a tour. They said that they did not have the staff to do tours, but that I was welcomed to just walk around and have a look! It is interesting that wood (not in the frame, but used between the frame and body panels, is a material very much like carbon fiber in plastic. They both have a lot of strength for their weight. Note this is the same construction as used on the Rolls Royce PII (chassis: WJ14) that I had. Coach builders used wood to build the body and set it onto the metal car chassis. JZR Pilots Association - replica 3-wheel Morgan using Honda V4, Harley EVO or Moto Guzzi engines. 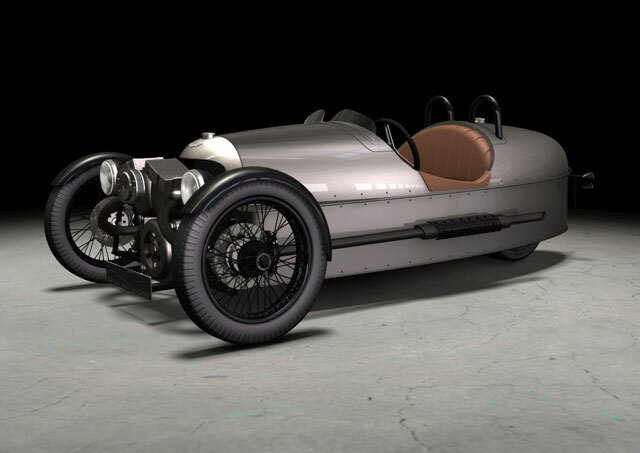 Nov 2010 - Morgan is looking into making a new 3-wheel car. The Tri-Hawk was made in Dana, Southern California as a autocross car. It would not roll over and developed very high lateral G forces in turns. It had both steering and drive on both front wheels supplied by a compact car front engine-drive-line assembly. The single rear wheel was fixed. Harley Davidson bought them out and offered the car in 1984 but they never installed their V-twin so as to make a modern version of the Morgan e-wheeler. This would make a desirable modern version of the Morgan. The key is to lower the center of gravity so that the car will not roll over during hard cornering. People have been killed driving the original Morgan 3 wheelers in modern times because they have a high CG and can roll over. Different engines available, Harley, BMW, . 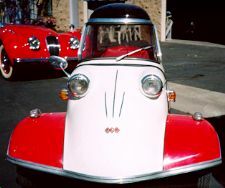 . .
Sparrow - I saw one parked at Fry's in Sunnyvale, cute as a bug! It's a one passenger electric powered, enclosed 3-wheeler with 2 wheels in front. Merlin - is a V2 gas engine version of the Sparrow due to be available in 2002. Boss Hoss - Chevy 350 V8 engine powered cycle, maybe good for 3-wheeler parts? The trike they make has two rear wheels, not a stable arrangement, two in front is the way to go. There is another class of Three-Wheelers that are designed to tilt into turns like a motorcycle rather than lean out like a car. The above 3-wheelers lean out. All through history there have been "hi-tech" fields. At one time it was designing and building Cathedrals. At another the Steam powered rail road system. At all times in history very bright people have spent a large amount of time studying, designing and refining their "hi-tech" products. A man found that the new horse less carriages were so unreliable that they could not make it across London. He started his own car company to make a more reliable car. Henry Royce was an engineer apprenticed at the Baldwin Locomotive works (hi-tech live steam). Up until 1948 the Fowler company was making and selling live steam "heavy haulage" trucks that out performed diesel based trucks for hauling very heavy loads. In England there are a large number of people devoted to various hobbies related to live steam and there are quite a number of them in the U.S.
At first steam engines were stationary (Wiki) and used in manufacturing plants to power machinery by means of line shafts and flat leather belts. Mr. Watts invented a 4-bar linkage used on Beam engines (Wiki), a handsome type of stationary engine. Later with skids under the steam engine it could pull itself (called a mule or yarder: Wiki) by means of a powered spool and rope, or with carriage wheels it could be pulled by horses - a portable engine (Wiki), a version of this is the "Fire Engine" (Wiki). Then with the steam engine powering it's own wheels, the traction engine (Wiki). Traction engines were the predecessors to tractors with large diameter metal wheels, tracks came later. The Showman's traction engine was used around the Circus and had lights and music. Some traction engines are very large. A short history of steam. Other traction engines are fractional reproductions made for fun driving. Note that until the middle of W.W.II that torpedoes used steam power driving a piston engine. Even after electric torpedoes were introduced the steam version still was in service. Note that an engine is a device that burns or otherwise consumes fuel, changing its chemical composition, whereas a motor is a device, which does not change the chemical composition of its energy source.. Examples: starter motor in a car, diesel engine, electric motor, gas engine, Sterling engine, a WWII submarine has motors for propulsion and engines to charge the batteries, most ships have engines. Hydraulic and air powered motors are used for many things. PS the difference between a ship and a boat is lost in antiquity. United States Ships have nomenclature like USS Enterprise, but submarines, which the US Navy calls boats, have the same USS (United States Ship) designations, not USB (United States Boat). There are a number of people who have restored and have in excellent working condition all types of steam powered vehicles. They have meetings where Traction Engines race, have tug of wars, and other events so people can enjoy seeing these magnificent machines working like when they were new. Some of these huge machines, that I saw in England, were licensed for traveling on public roads (MOT stickers, Wiki). There is a driving school for traction engines. Roots of Motive Power - Is in Willits just North of me (Events Schedule). It is a museum with a lot of live steam machinery that was used for logging in this area. 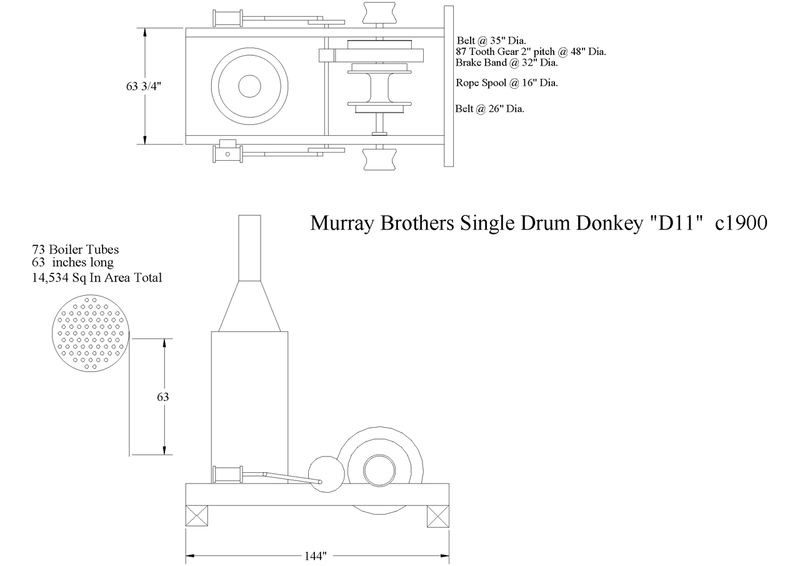 Murray Brothers Single Drum Donkey "D11" c1900 (Mur_d11.dwf) To view this drawing you need the Autodesk WHIP! Plug-in. For Netscape 4.05 or higher there is a <Shift><Click to download as file> whip.jar file (about 2.8 megabyte). Tracks are very different from tires (see above) in how they work. The wiki Track page shows a number of patents, but also confuses the definition. They are talking about continuous tracks, but that misses what I think is the point. In my opinion the whole point of tracks is to reduce the ground pressure. This is mentioned at the bottom of the advantages paragraph on the Wiki Track page after some other things that are really not that important. The examples given are the M1 Abrams tank which has a ground pressure of 15 psi and a typical car which has a ground pressure of 28 to 32 psi. Note the M1 tank weighs between 60 and 68 tons (120,000 to 136,000 pounds) which means the track area is in the range of 8,000 to 9,066 square inches or 55 to 63 square feet. If wheels were used a vehicle of this weight would immediately get stuck when driving on anything but a think concrete road. Note that for balloon tires the inflation pressure is the ground pressure. This is why ATVs (Wiki) and other off road vehicles use special low inflation pressure tires, both to have a light environmental footprint and to avoid getting stuck. The Wiki Tire page does not get how they work. See Tires above. I've recently been looking at "Fat Tire" bicycles and tricycles that are suitable for driving in snow, sand, mud &Etc. Also note that trailers use small tires to allow for a wider payload with a maximum eight foot width set by law. They use high inflation pressure in order to carry more weight. This is way you don't want to pull a trailer over dirt when loaded. 674737 Logging-engine, Alvin O Lombard, Nov 9, 1900, 180/9.62; 305/140 - for logging in mud or snow in 1900. Here the emphasis is low ground pressure. 251513 Steam (snow) Plow - uses "Feet" instead of treads. 312630 Traction Engine - uses a form of rail and wheel with groove for rail. 334333 Traction Engine - uses "Feet" instead of treads. 467095 Road Locomotive - Uses tracks, but they are tight around wheels thus not effective in lowering ground pressure. 351749 Vehicle, Chaeles Dinsmoor, Nov 2, 1886, 305/121 - is a tracked vehicle, but the purpose is to avoid bumps and jolts, like when a wheel hits a rock. 7427 Traction-Wheel, Gideon Morgan, June 11, 1850, 305/121 - Note this predates the Blinov Russian patent of 1877. Just across the street from Roots of Motive Power is the office of California Western Railroad that runs the Skunk and Super Skunk trains between Willits and Fort Brag on the California coast. The Traction Engine Pages - links - For Sale - THE BENSON MOUNTAIN COMPANY - videos, books, etc. Antique Steam - South Peace Centennial Museum - live steam days for traction engines and others - When an engine has a name like 25 -75 HP it means that the draw bar has a rating of 25 HP and the flywheel has 75 HP. The 25 HP is close the the boiler HP rating derived from it's surface area. You can buy finished live steam models ready to run, kits of parts that are ready to assemble, kits of parts that need some work to assemble, raw castings that need machining, and plans for build form scratch models. There is a good sized industry in the United Kingdom to fill the needs of this model builder market. In the U.S. there are a number of live steam railroads built to a scale where people can ride on or in smaller sized rail cars. Many of these are in peoples gardens. Reeves - has a wide assortment of Models. Stuart Models - have kits with all parts machined ready for assembly. I built one of their stationary engines. The Traction Engine Pages Steam Links - Many live steam links on the U.K. web page. Toys in my definition are made using sheet metal and lower cost construction methods. These are the sheet metal type models, not the ones made from castings like the Reeves line. LGB - these are G scale electric trains. the link is here even they are not steam because I used to have a lot of them. I found that putting 2 magnets under the engine made the switches work more reliably. Using the switches you could have layouts with many independent trains all running by themselves. Since there are only 2 rails the polarity would need to be switched to allow a train to go either way on a given section of track. I remember one layout that had a yard with 4 trains. One would leave go down a long track and at the end go around a loop and come back on the same track. Near the yard it would branch and go back onto the same track where it came from. That would release the next train to run. They would all take their turns. I resisted the temptation to build my own parts of the system. If I started doing that, there would be no end to what could be done. A friend liked to build with Legos. He built a working grandfather clock that kept time reasonably well, but used only Lego parts, he did not want to get into making his own parts. An alternative form of gas engine ignition is the Magneto (Wiki). They have a number of advantages. No battery needed, great for vehicle that's stored longer than shelf life of battery. Ignition system is light weight so used in aircraft and motorcycles. 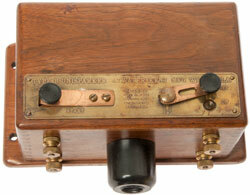 The Arthur Atwater Kent (Wiki) purchased the spark ignition system he sold from Thomas H. McQuown. This system works on a different principle than the later Kettering (Wiki: Delco) ignition system. 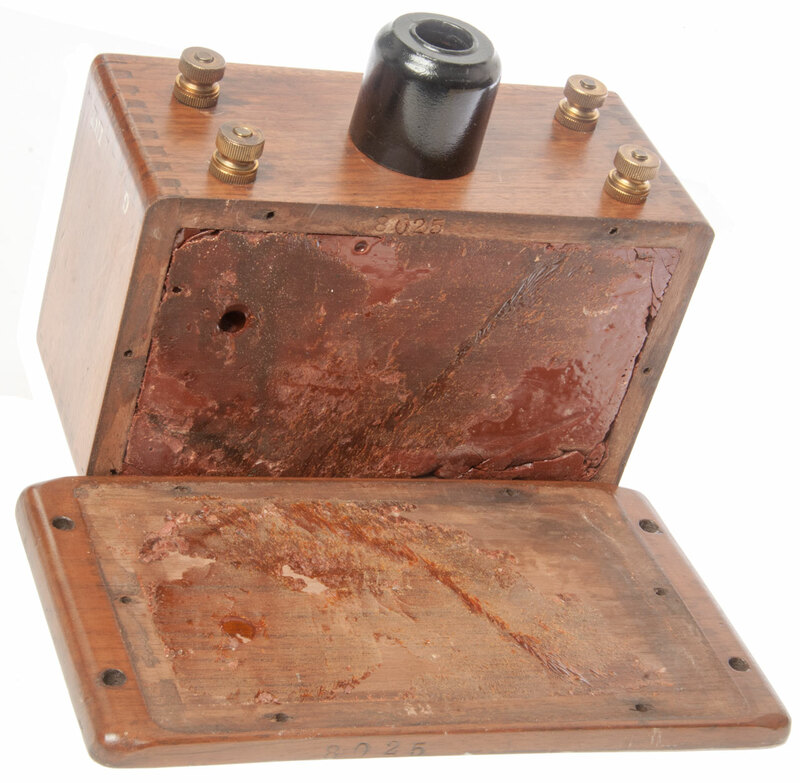 The Kent system used "trembler or buzzer" coils, like on the Ford Model-T (Wiki) (1919 to 1927). These produce many sparks and if constant power is applied the high voltage will be a constant stream of sparks. The problem is that it only works on low compression engines and at low RPM. With the advent of higher compression ratios (Wiki) and higher RPM engines the Kettering system took over. 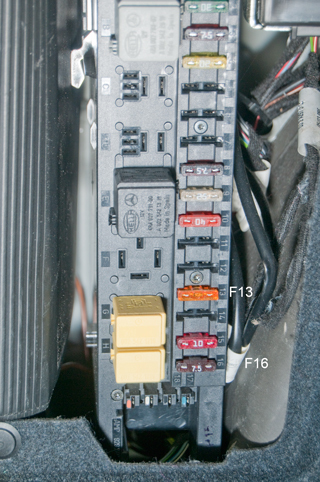 The Kettering ignition system uses a coil that's just an auto transformer (it has no trembler or buzzer). The current is going through the coil most of the time so it's magnetically saturated. At the instant the points break the magnetic field collapses causing a single high voltage pulse on the secondary. This is based on looking at the outside. 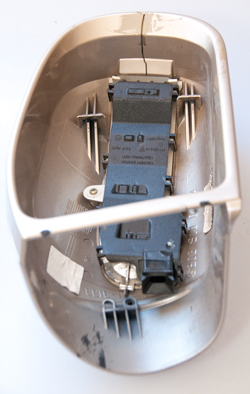 The two left terminals marked: INT and G go to the interrupter and engine ground, i.e. the points that make a very brief contact at the moment there should be a spark. 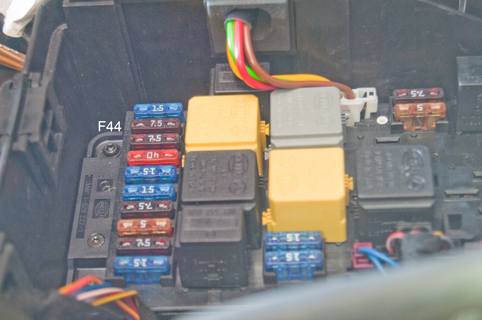 The two right terminals marked: CARBON and ZINC to the the Positive and Negative battery terminals of the series connected ignition batteries. The center terminal is the High Voltage output. The On-OFF switch at the top right is for turning the engine on or off. The START switch at the top left is for starting off the switch (Rolls Royce). Fig 4 Box filled with Red Glyptal? 775665 Circuit Controller, Archibald D Scott, Varley Duplex Magnet Co, Nov 22, 1904, 200/19.26; 200/574; 200/6BB; 200/DIG.9 - for gas engines, goal minimum contact time (backwards from Kettering ignition which needs as much dwell as possible). 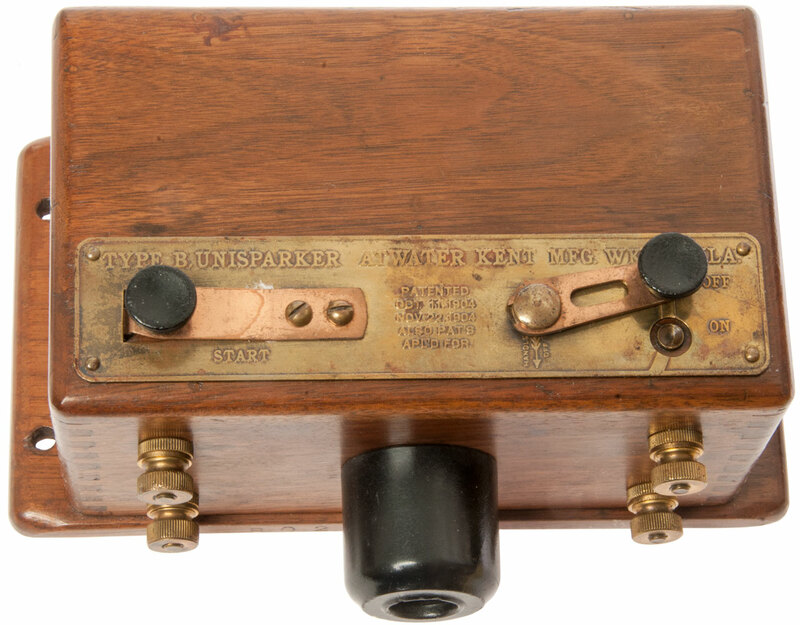 749743 Speed-indicator, T. H. Moquown, Jan 19, 1904, 235/104; 377/23; 73/489; 73/491; 73/506 - shows speed and total revolutions of vehicle, but Fig 5 to Fig 8 show the circuit breaker and were the subject of a separate applications serial No. 137445 dated 1900 and serial No. 137790 also of 1900 which turned into RE12273. The points in the 427 Cobra would "float" at about 5,000 RPM and that was the limit to higher revs, so I had a distributor shop install racing points to raise the RPMs. More modern spark ignition engines use one HV coil per cylinder thus allowing more time to charge the coil allowing higher RPM operation. Also this eliminated the distributor (one less thing to go wrong). 1037491 Ignition apparatus for explosion-motors, Charles F Kettering, Dayton Engineering Lab Co, Sep 3, 1912, 315/219, 335/124, 315/226, 361/268, 315/287, 315/224 - uses an interrupter (trembler, buzzer) item "I", so not the modern system. 1037492 Ignition system, Charles F Kettering, Dayton Engineering Lab Co, Sep 3, 1912, 123/146.50A, 310/247, 200/6.00R, 200/19.1 - this is the modern Delco system. The distance traveled was estimated by using a counter preset to the number of propeller revolutions to the target and counting down. At zero the wings were disconnected and the engine turned off. When designing a product there are always considerations of schedule and price and sometimes one of these may be the critical design parameter. The normal case is when functional engineering decisions are made. I attended a lecture by Charles and Ray Eames (Wiki) where they said a product designed when the life of the user is at stake did not contain any marketing elements and so tended to be elegant. This is related to the Form Follows Function school of design (Wiki). The example given was the gyroscope used in aircraft. There are conflicting functions for any vehicle and they may be Performance, Utility, Luxury and Economy. There are many performance parameters such as top speed, gas mileage, range, &Etc. Utility vehicles need to do the job they were designed to do at the lowest cost point. Luxury vehicles tend to give up on all the other factors. Economy vehicles give up on the other factors. Vehicles that are aimed at general markets tend to be a blend of Performance, Utility, Luxury and Economy. But a blended design can not come close to a purpose designed vehicle where only one goal is present. The family sedan can not set a world land speed record. A multi-tool that does many things can not compete with a single purpose tool when used for it's stated task. A possible design consideration is Mean Time Between Failures (Wiki: MTBF). I learned about this when I was engineering products for military applications where MIL-HDBK-217 was the defining document. 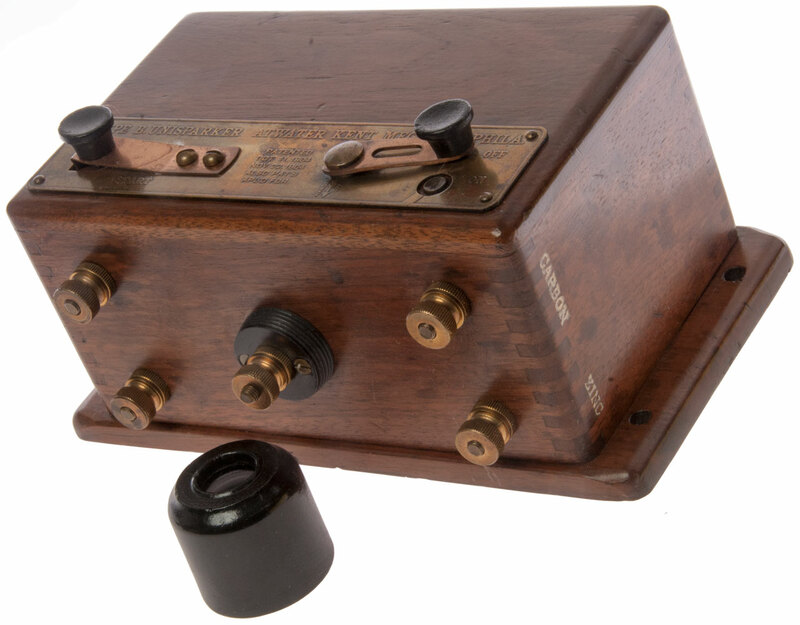 I also had a conversation with another engineer who worked at RCA and was involved in the design of color TV picture tubes where the goal was to get the MTBF at one year plus one day. That's to say just after the warranty ran out. While not the same as the sell razor blades not razors business model (Wiki), it's in the same ballpark. 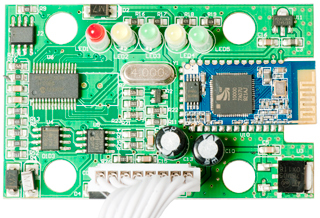 Individual components can be tested to determine the parameters needed as inputs to the MIL-HDBK-217 calculations. 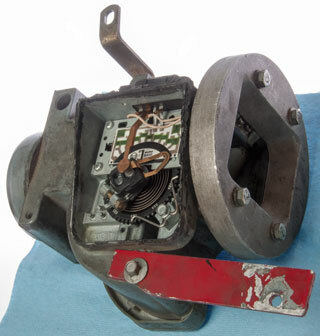 Then these components can be combined to make a sub assembly where its MTBF can be computed. 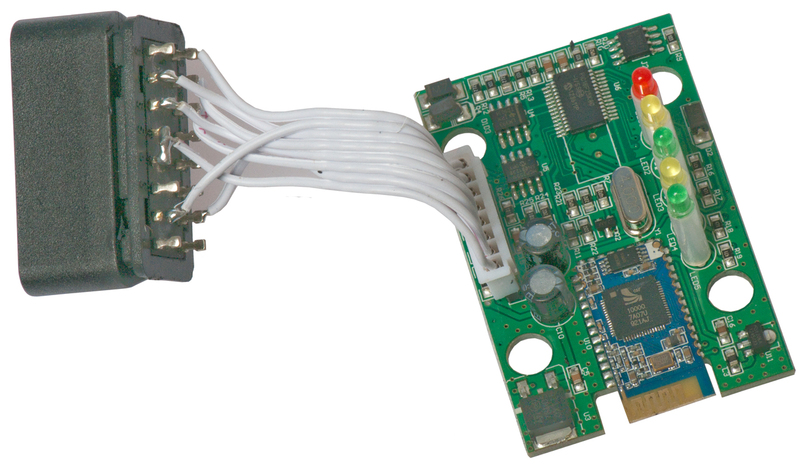 These sub assemblies can be combined into a sub system with its MTBF and so on. Thus the MTBF for a complete aircraft outfitted for a specific mission can be calculated. The idea is that the MTBF should be longer (maybe 4 times longer) than the total mission time. It's my recollection that an early F-111 (Wiki) had failures during a mission and the guys at Aertech who made some parts for the terrain following radar were nervous until they learned is was not their component that failed. I think MTBF should be a required part of a product label. The idea is to let the buyer know the longevity of the product. Some buyers may want to pay less and get a product that's only going to last a year while others may want to pay more and have a longer lasting product. 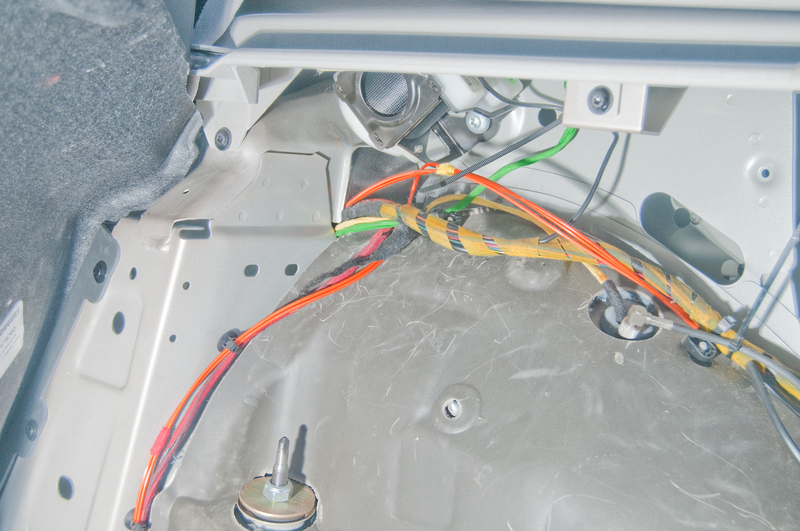 This has implications when deciding to make a major repair. On a car with a short MTBF making a major repair may be a waste of money, but on a car with a longer MTBF might be an excellent investment. At the end of the movie Blues Brothers (IMDB) the car they were driving throughout the movie disintegrates. This is the ideal case of matching of MTBFs for all the components of the car. 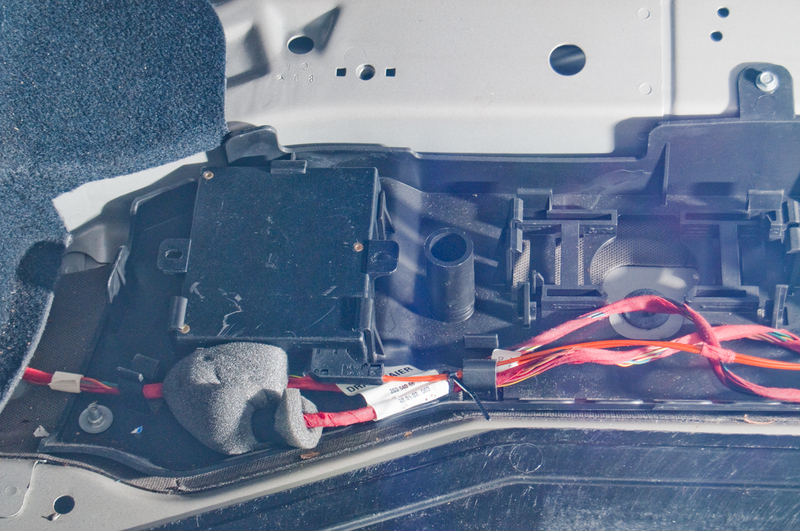 If, for example, one part of the car has a much longer MTBF than the rest of the car then that part can be re-engineered to have a lower cost and shorter MTBF thus lowering the cost of the car without impacting anything else. Electric Vehicles, Design and Build Your Own by Michael Hackleman, Earthmind/ Peace Press, 1977, ISBN 0-915238-17-9 is an excellent book for many uses. I used it as part of the basis of my vehicle acceleration computer program. How to Make Your Car Handle by Fred Puhn, H.P. Books, 1976, ISBN 0-912656-46-8 - The best book on handling that I have seen. It is both understandable and practical. Edmonds - new, used, road tests, etc.